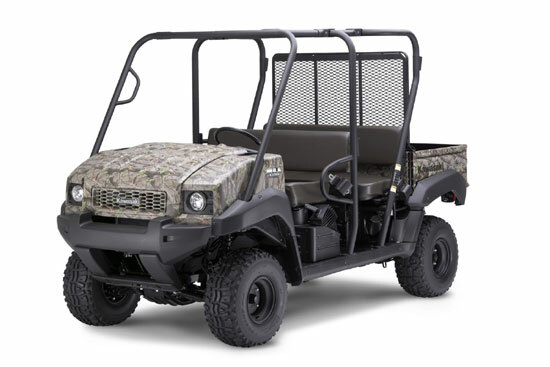 A real two-for-one deal, the Kawasaki Mule™ 4010 Trans4x4® (Camo) is a one of a kind utility vehicle, with the ability to transform from a short bed four-passenger 4×4 into an extended bed two-passenger 4×4 in a few quick steps. 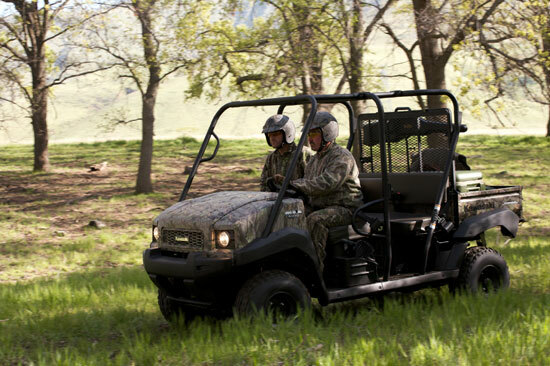 Trans4x4 users can fold down the rear bench seat and extend the cargo bed forward into the cab for increased cargo capacity. When more than two seats are needed, the Trans4x4 can be quickly converted back to four-passenger mode by reversing those same easy steps. Featuring REALTREE™ Hardwoods Green® HD™ camouflage body panels, the rugged new Mule 3010 Trans4x4 (Camo) offers maximum flexibility with hunter-friendly stealth. 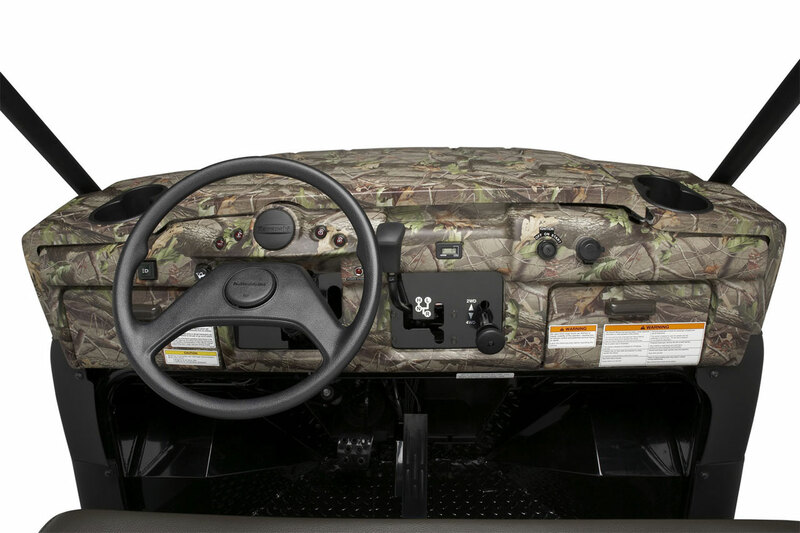 Underneath its bold new camouflaged body styling, the Trans4x4 also features a new dashboard with dual glove boxes, driver and passenger cup holders, retractable rear seat belts, and padded rear-passenger grab handles. Its front hood can be lifted with the pull of a dash-mounted knob and allows access to a now deeper storage space, which has convenient D-rings to help secure cargo. Additionally, two lever latches make opening and closing the tailgate a secure and easy process. 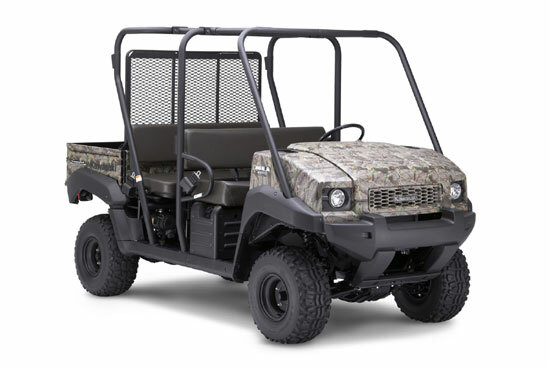 The extendable cab on the Trans4x4 is surrounded by the large-diameter steel tube frame structure that meets federal Roll Over Protective Structure (ROPS) requirements.